Hurricanes and wildfires may trigger losses of $79 bln in 2018, and the second bad year in a row for funds that bet on disaster protection. The bigger issue is that damages are getting harder to predict. The flood of money that has poured into the sector may start to trickle out. 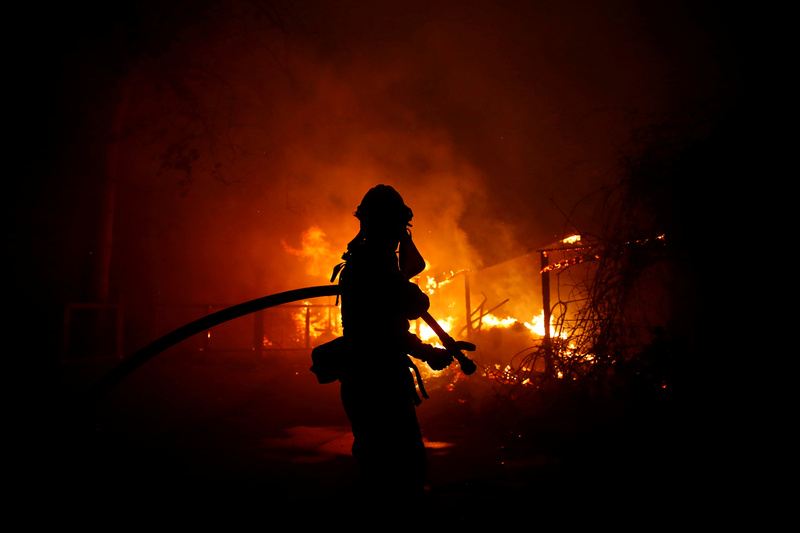 A firefighter battles the Woolsey Fire in Malibu, California, U.S. November 9, 2018. The fire destroyed dozens of structures, forced thousands of evacuations and closed a major freeway. Losses from natural and manmade catastrophes are likely to total $79 billion in 2018, according to Swiss Re forecasts. This year will be the fourth costliest on record for losses covered by the insurance industry. In 2017, three hurricanes, wildfires and other natural catastrophes caused $150 billion worth of insurance losses.